New Hampshire independent jewelers and jewelry store owners know their business inside and out. As such, they understand their livelihood faces industry specific risks – often centering around the high value and portability of their inventory. 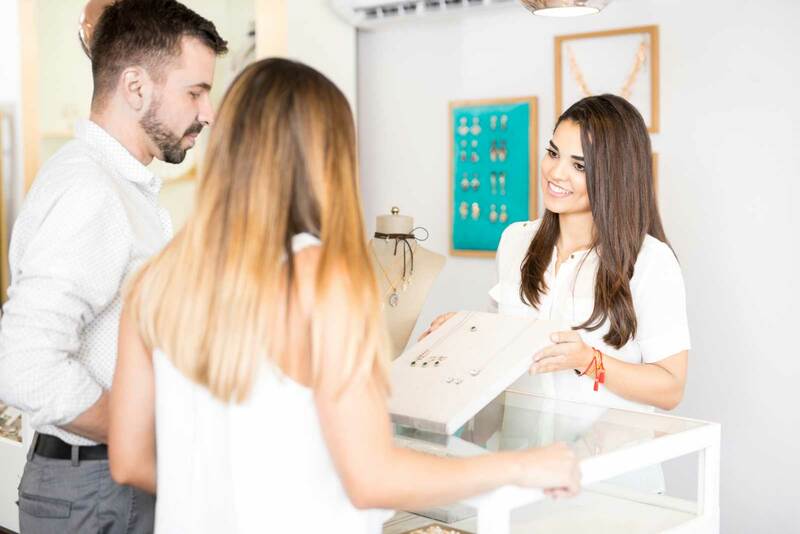 For this reason, knowledgeable business owners in The Granite State make time to protect themselves with strong Jewelers’ Insurance for their New Hampshire locations. A quality jeweler’s insurance package will include components to protect against theft, mishandled shipping, travel issues, and more. At Child-Genovese Insurance Agency Inc we have remained at the forefront of our industry for over fifty years by providing leading quality and service to New Hampshire jewelers. We understand that as a jeweler, you specialize in the items that are rare, beautiful, and have a price tag that reflects those qualities. Because of the high value of your stock, your business stands to lose more than the average store should your inventory be compromised. We offer New Hampshire jewelers’ insurance packages that are tailored to meet your specific risks. Packages are available to protect items in your store, display windows, in the safe, out of the safe, in transit, and much more. Special coverage for trade shows can also be added. This option is attractive to independent jewelers that frequent trade events, flea markets, farmers markets, swap meets, and other functions. Let our expert team help you assess your risk and protection options by contacting us for a free-consultation today. We are members of The New England Jewelers Association, The Boston Jewelers Club, The Providence Jewelers Club and the MJSA (Manufacturing Jewelers & Suppliers of America). As a jeweler you have more to protect than your gold, silver, gems, and cash. Your jewelry business’ success most likely relies on the hard work and dedication of your employees. If this is the case, you might want to consider shielding yourself from the human error and intentional malice associated with the jewelry industry by adding additional components to your New Hampshire jewelers’ insurance policy. Stock disappearance coverage is available to shield you from the financial burden of replacing an item that goes missing without explanation. If your store features a shop or does any repairs, it may be advisable to secure workmanship coverage. If a customer’s item becomes lost or damaged in the repair process you can be shielded from the ensuing liability. Child-Genovese Insurance Agency has remained the top choice for jewelers’ insurance in New Hampshire for over 50 years. Take a moment to protect yourself and your livelihood by contacting us for a free consultation today. Call us at (781) 749-7566 or email us for a quote to learn more.